Greetings, and Nowruz Pirooz to our fellow Zarathushtis! We always welcome March with open arms as it’s not only Nowruz month where we usher in the Spring season, it’s also one of the busiest ZAC months of the year. Specifically, March brings an opportunity to participate in many ZAC events, including ZAC Clean-Up Day, The Persian Nowruz Celebration at the Oriental Institute, our annual Nowruz feast, the Hamas-path-maedem Ghambar, and the Shehenshahi Ava Mah Jashan. We encourage you to participate in the way that best suits your needs. From volunteering at Clean-Up Day or by helping during the Fenwick High School and Rockford College visits, we depend on your involvement and participation. As always, we remain eternally grateful each month to our event hosts for their time, leadership, financial support and cooking; as well as to our incredible priests for their commitment to keeping our flame burning bright. Cold got you down? Don’t despair, Spring is in the air! 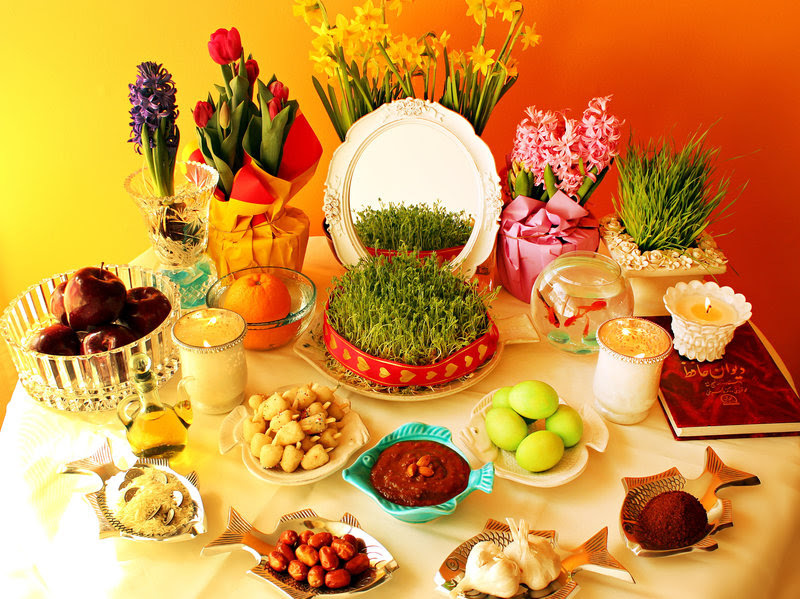 RSVP by March 17 for the annual ZAC Nowruz Celebration!!! Come celebrate Nowruz with friends and family on Saturday, March 23 at 6:30 pm.Enjoy scrumptious Persian food, memorable children’s performances, merriment with friends, dancing and more! Cost: 2018 paid ZAC Members: $20, Non-Members $40. Kids under 12 are free thanks to a generous donor for covering the cost. Please RSVP to Farida Sharyari by calling 847-310-0287 by Sunday March 17th, if you plan to attend. For those who call after March 17th, the cost will be $40. Click here to RSVP and pay tickets online before the event. We hope you are staying warm and well as we endure truly historic and frigid winter weather! Extreme weather helps us to think beyond ourselves, and reminds us to care for our neighbors, the elderly, and those living alone who are more vulnerable. Our recent Jan 27 monthly meeting featured ‘Tech Talk’ presentations by Tushad Driver and Jim Engineer. Tushad spotlighted ZAC’s new technology infrastructure and how you can benefit from it today simply by visiting www.zamc.org. Jim presented on best practices to achieve a safe online experience, showed us how to reduce our risk of being hacked, and reviewed ways to improve your online privacy. Driver for organizing the event and watching over the children. To learn more about our 2019 event lineup, check out pages 8 and 9 of our newsletter. We look forward to seeing you at ZAC soon! Here’s wishing everyone a very happy, healthy and peaceful 2019! We have an exciting year planned for us full of religious and cultural activities. The detailed program calendar can be found within this newsletter. Please reach out to Zinnia Elavia or anyone on the ZAC board if you wish to participate or volunteer for any activities on our program calendar. As always, we greatly appreciate your continued engagement, through membership, donations, or volunteering. We are grateful to our community for their pledges and donations to our Ava Project, which we continued to receive through the end of the year. We thank you once again as we leave 2018 behind and look forward to coming together as a community in 2019. Thank you for your continued generosity and involvement throughout this past year. May you and your family enjoy a New Year full of happiness and prosperity. This New Years, we are bringing back a tradition of posting New Year messages to your friends and fellow community members in the newsletter. If you would like to put in a New Year’s Greeting message to run in the January 2019 newsletter, you can do so by sending your message of maximum six lines to zamc@zamc.org, for a modest $25.00. Payment can be made by check or via the web site, and must be received by no later than December 15, 2018. Wishing you and your families a very safe, happy, healthy, and peaceful 2019!